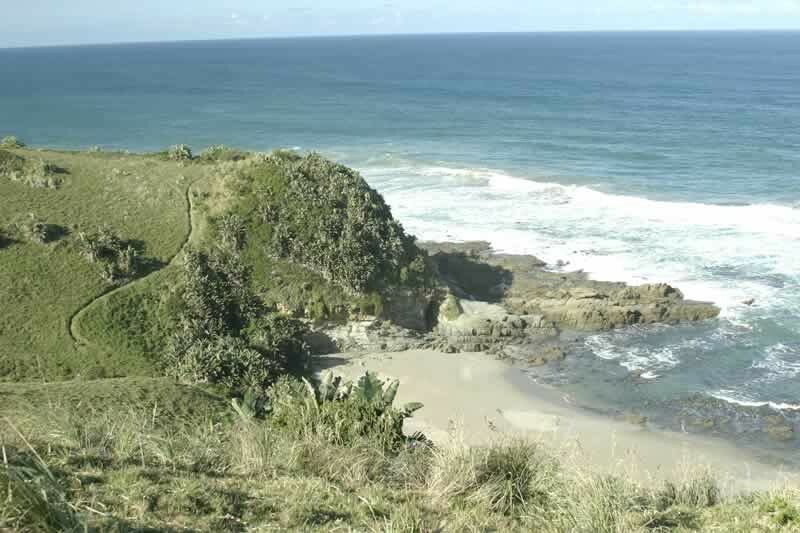 Lying 30 kilometres south of Port St Johns, Hluleka Nature Reserve is one of the Wild Coast’s best kept secrets. 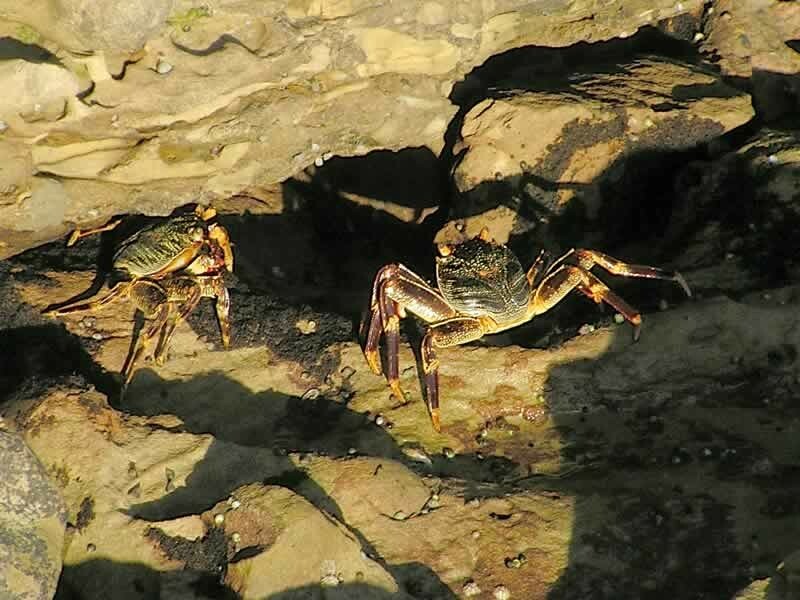 This tranquil reserve showcases a diverse range of eco systems – rocky seashores, golden beaches, lagoons and lush forests of quinine, coral, stink ebony and Natal fig trees. Accommodation is available in 6 beautiful and well appointed double-story chalets featuring sea views, and zebras calmly grazing on the lawns. Each chalet sleeps four adults. Comfortable lounge suites and flat screen TV with DSTV access in the lounge, microwave, gas stove and all essentials in the kitchen, plush linen and comfortable beds, and soft towels in the beautiful bathrooms which have baths and showers. 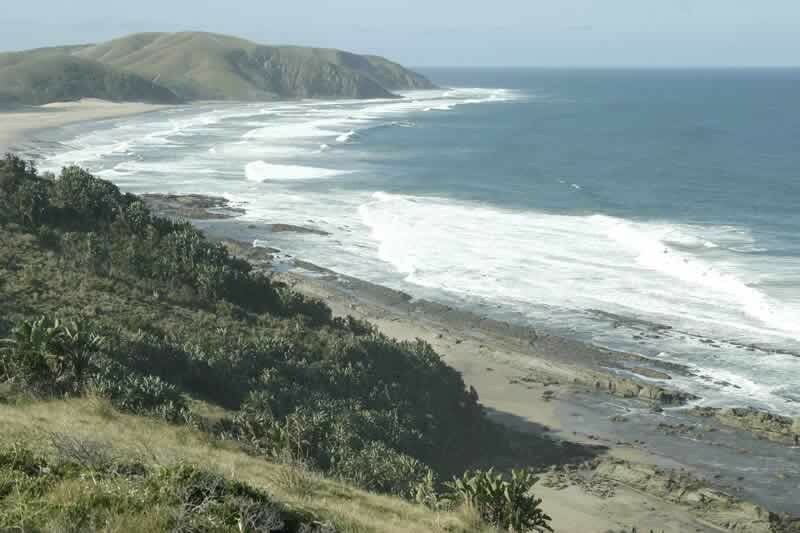 The reserve is comprised of a 772ha area, formerly known as Old Strachan’s Grant Farm, and includes an area of coastline as well as two magnificent forest reserves, the Congwane Mtombo and Ndabeni Hluleka Forest Reserves. 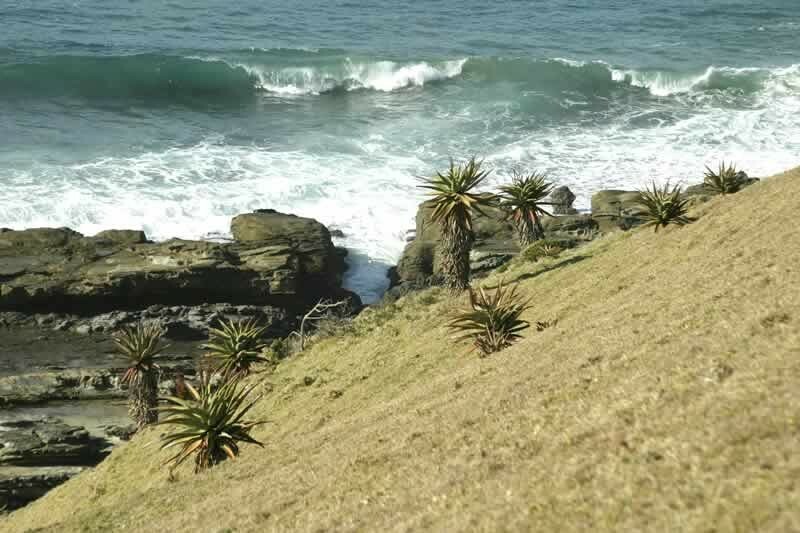 It is these forests which characterise the rolling landscape of the Wild Coast coastline and the riverine gorges that intersect it, and which make for a nature lover’s paradise. The reserve is home to an incredible diversity of eco systems, as well as an abundance of wildlife. 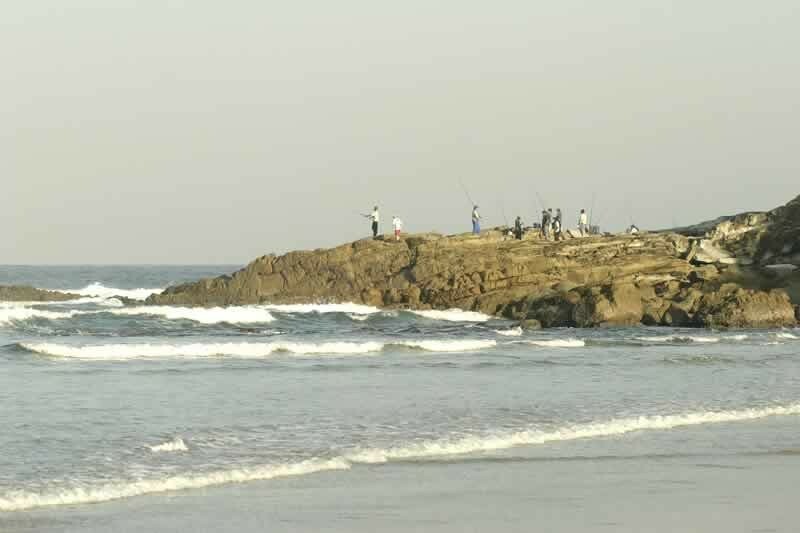 Walks that lead along the rugged coastline, to tranquil and unspoiled beaches, along peaceful lagoons and through the lush forest, showcase this diversity. 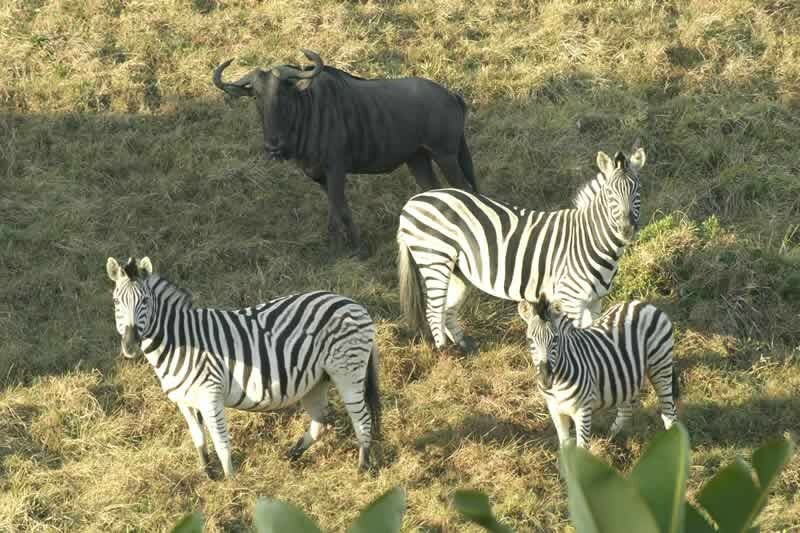 Nature enthusiasts will enjoy the opportunity to spot the Bushbuck, Eland, Impala, Blue Duiker and Burchell’s Zebra, which are some of the animals that are most frequently spotted in the reserve. For those who are simply looking to relax and get away from the hustle and bustle of life, wandering through the spectacular forests to hidden picnic spots is a sure way to feel relaxed. 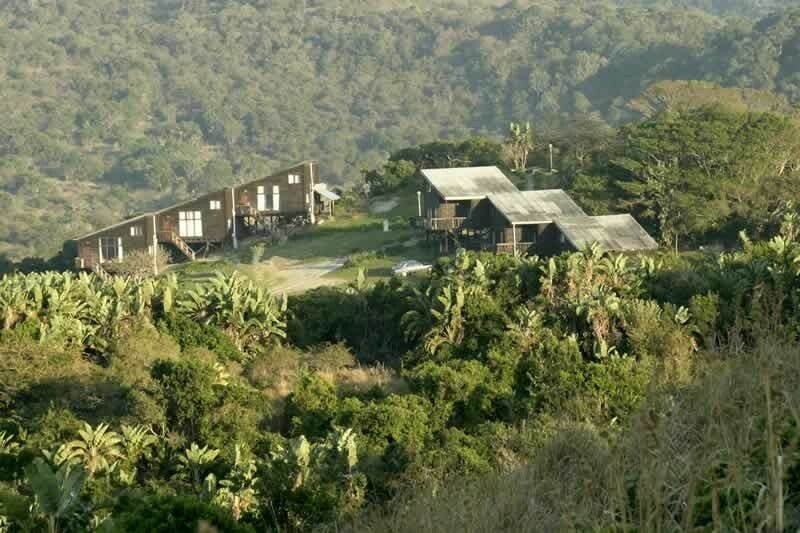 Meandering paths lead through the forests to open hilltops offering spectacular dolphin and whale watching. 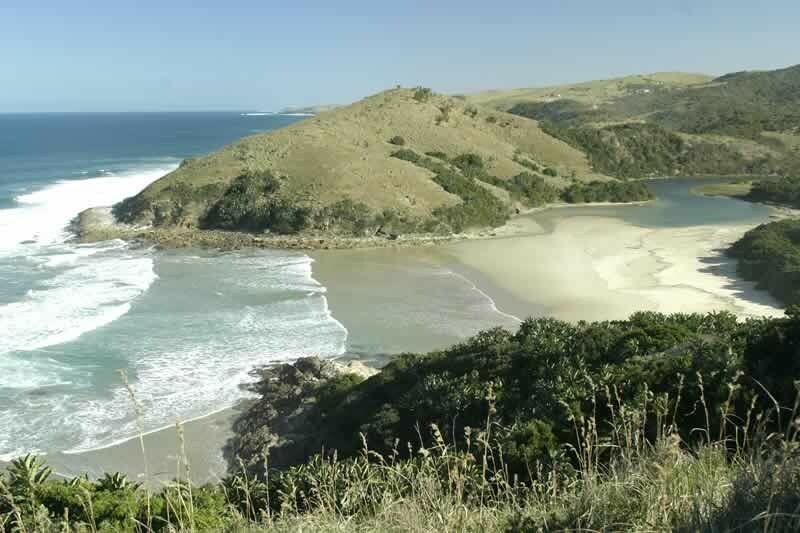 The coast between the towns of Port St Johns and Coffee Bay is renowned for many beautiful lagoons, and one of the loveliest of the Wild Coast’s many parks - the Hluleka Nature Reserve. The beaches are punctuated with extraordinary rocky outcrops shaped into strange bubble formations by the rapid cooling of volcanic lava in millenia past. In winter the indigenous forest is ablaze with the scarlet blossoms of the coral tree (Erithryna lysistemon), and the hillsides are coloured with aloe-ferox in bright orange bloom. The reserve itself is a wanderers’ paradise, with dozens of little meandering paths. You could encounter blesbuck, zebra and wildebeest. On the beach you will find the tracks of otter. The forest is rich in incredible bird- life reverberating through the trees – cape parrot, rare green-billed coucal and knysna turaco sunbirds, canaries, herons, and the jewel in the crown: the fabulous, elusive narina trogon.